You know, I'm all about training. Online, onsite, hands-on, theories, reading, and doing. Just continue to train--that's the key. My passion is to bring every type of training, not only with our programs, but other training programs as well. This year we are launching a pilot program, The CSI Training Program, a 12 week, 100 hour, hands-on training program that offers specific training focusing on a career path as a crime scene investigator. YAHOO! Last year, we had many students applying to our flagship program, The Forensic Science Academy, but were unable to commit to the 6 month, 250 hours of training. Those same students (about 35 of them) asked why we didn't offer a 'condensed' version for those just interested in crime scene investigation (vs. latent print examiner or MLDI (medicolegal death investigator)? Starting June 2019, the CSI Training Program will officially start. The program offers 100 hours of hands-on training within the training modules of Basic Crime Scene Investigation, Forensic and Scene Photography, and Advanced Crime Scene Investigation. The cost is $1250 (includes registration fees, materials fees, ebooks, hand-outs, and powerpoint). 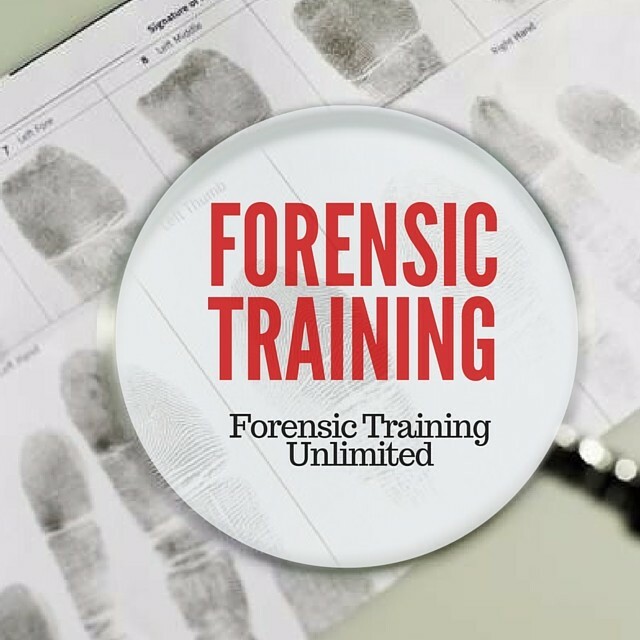 The benefits of registering in this program include a shorter training program (easier to adjust your personal schedule), and of course, all the training modules are taught by forensic experts. We will be accepting less than 10 students to this program and all the training will take place in Southern California. Get your name on the interest list and I will send you more info! !